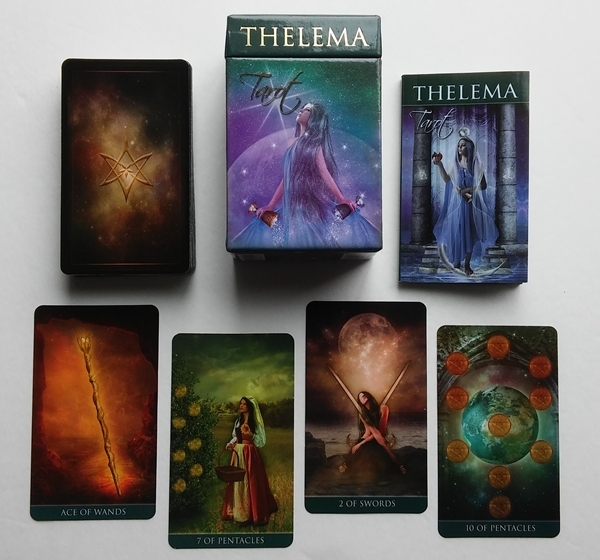 The Thelema Tarot is a gorgeous, sumptuous deck of beauty. It feels like being in a Renaissance fairy tale flush with beautiful people and breathtaking scenery. The deck is housed in a nice, heavy, sturdy box with a lift-off lid, unlike the usual tuck box. The lid comes off very easily, so don't make the mistake I did (maybe more than once) of grabbing the deck by only the lid, or you will be picking all your cards up off the floor (maybe more than once). The box shows an image of The Star on one side (as shown in the image at top), and The Empress on the other side. On the left and right sides are the Magician and the angel of Judgement. Prior to receiving my deck, I had seen reports online of the deck having printing defects (cards being cut unevenly, some corners not rounded). I received mine at the end of 2016 and it was cut and rounded perfectly. It's an issue that either must have been fixed with later printings, or only affected a portion of the printings. One of my cards came with some sticky stuff on the back, which when rubbed off took some of the card off with it. The front of the card behind it was only very slightly affected by the sticky stuff. This atmospheric deck is just so incredibly pretty! The costumes are gorgeous, the scenery is lush, the coloring is beautiful. It has the most beautiful Strength card I've ever seen. The stunning Moon card draws me into another world (definitely one of my favorite Moon cards, if not my favorite). Even the Death card is elegant and enticing. I love the guy meditating in the Four of Swords, and the super sneaky vibe from the Seven of Swords. The Two of Swords is one of my favorite depictions ever. The Three of Swords and Ten of Swords are very emotive. The scenery in the Four of Pentacles is stunning. And can I just say that the Knight of Cups is gorgeous? 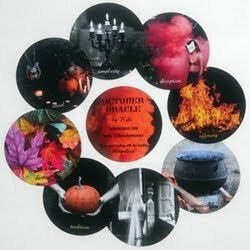 The lush mossy greens in the Pentacle cards are lovely, as are the deeply fiery, vibrant (yet not even remotely garish) yellow-orange colors reminiscent of a sunset in the Wands. I do believe the colors used in the Pentacles and Wands suits are my favorite use of colors for those two suits of any decks I own. I love the darker greys of the Swords juxtaposed with the pinks, purples and blues and fluid femininity of the water and galaxies in the Cups. The symbolic colors are done very well. I find the posing of the Pages a bit stiff and posed, with the exception of the Page of Swords who appears human, while the others look rather like wax statues. There is something I found strange about the Cups suit. Five of the cards (see image directly below) have a very similar look. The Three, Four, Five, Six and Nine of Cups each feature a woman (in various poses) in the center of what appear to be white lily petals, surrounded by the appropriate amount of cups. I find this repetition odd, partly due to the fact that this repeating theme is for some reason excluded from the other Cups cards. Why only these five? They aren't even five in a row. It's not something that I dislike, per se, just something that perplexes me. The cards themselves are lovely. These cards read very fluidly. The images are soft on the eyes and gentle without sparing the full spectrum of emotions. The artist did a great job conveying the proper emotions, vibe and context in each card, while keeping each one beautiful, whether it is a card of joy or one of extreme sadness. The beauty doesn't detract from the necessary messages, but rather somehow enhances it. The week I used this as my main reading deck was pretty uneventful, so I don't have any great stories because sometimes life is mundane. However, I drew the Fool as my daily card on a day that I literally landed back at square one in an area of my life. There couldn't have been a better representative of Square One than The Fool! The 128-page LWB actually has a spine wide enough to fit the title of the deck. It's not one of those standard stapled deals. The front and back cover are thick card stock and the inner pages are glossy and high quality. The cover features an image of the High Priestess. The first page you open to is a full-page color image of the Empress. After the copyright and cover pages is a Table of Contents with page numbers for the various parts of the LWB in different languages (English, Italian, Spanish, French, German). There is a bit of an introduction before the book leads into the card meanings. There are no images of the cards in the book. 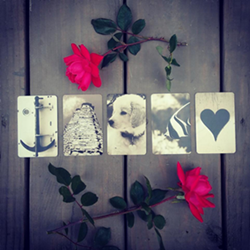 Each card begins with a message in quotations from the person in the card. For example, the Moon card begins, "I go to face my fears. My cloak protects me as I turn into the unknown. If I am to become the master, this is something I must do." The bulk of each card section talks about the imagery in the card and what everything symbolizes. This is nice, as most LWBs just tell you the meanings without thought to how and why the cards were designed the way they were. 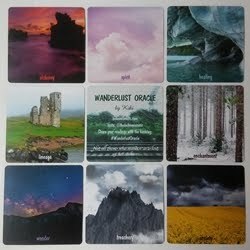 Each card is then given a handful of keywords and phrases. There is an elementary section on Using the Cards followed by a single 6-card spread (The Thelema Spread). There is then another full-page color image of the Empress on page 75. The rest of the book consists of much briefer meanings listed in the other languages. This is a gorgeous deck, in case I haven't said so a bazillion times yet. It can easily be used for a beginner, as it follows RWS closely. 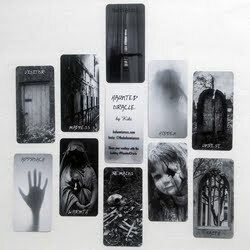 It's also a perfect deck for every day use, and appropriate for any type of reading, for any type of client. It is a bit on the feminine side, but I can see it being used as an all-purpose deck. It is definitely one of the prettiest decks I own. It will be one that I keep out among my main reading decks. 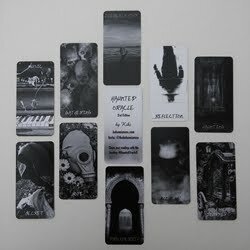 Deck: Thelema Tarot created by Renata Lechner (creator and artist) and Jaymi Elford (writer), published by Lo Scarabeo, distributed in the US by Llewellyn Publishing.